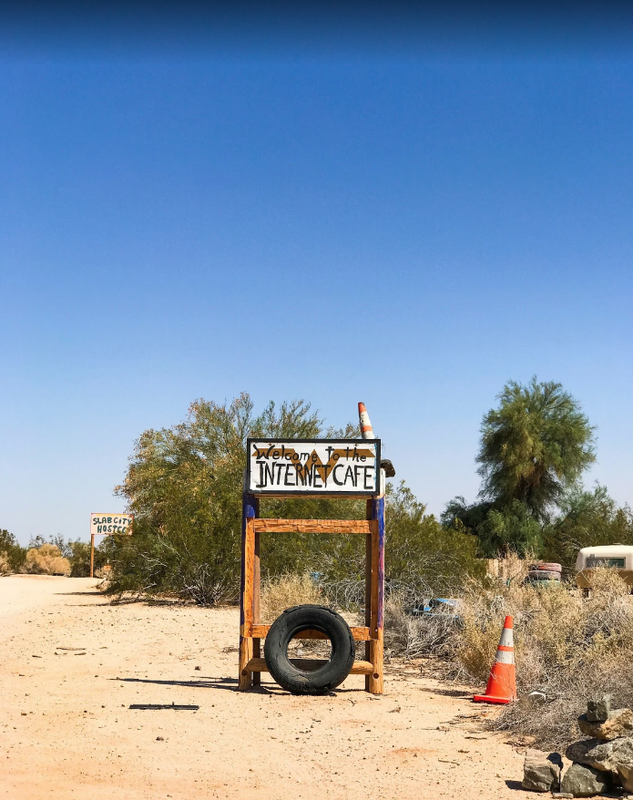 The name is intriguing: Slab City Internet Café but unless you bring it with you there’s no internet, no coffee, no sanitation, no trash pick up, no electricity or running water. And, the local economy is built on excuses as to why they live there. 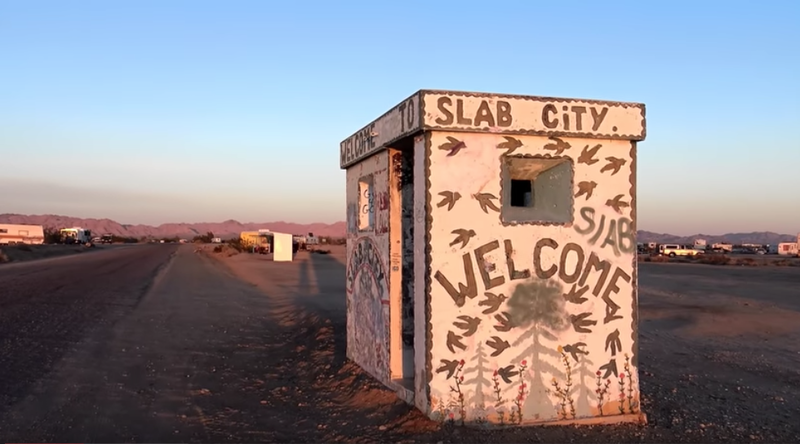 Slab City, also called The Slabs, is largely a snowbird community in the Sonoran Desert located in Imperial County, California, 156 miles northeast of San Diego within the California Badlands, and used by recreational vehicle owners and squatters from across North America. Let the visitor beware if you find yourself four miles East of Niland, CA in what used to be a US Marine Corps outpost—until the Leathernecks pack up everything (1960s) except the cement slabs and left town. 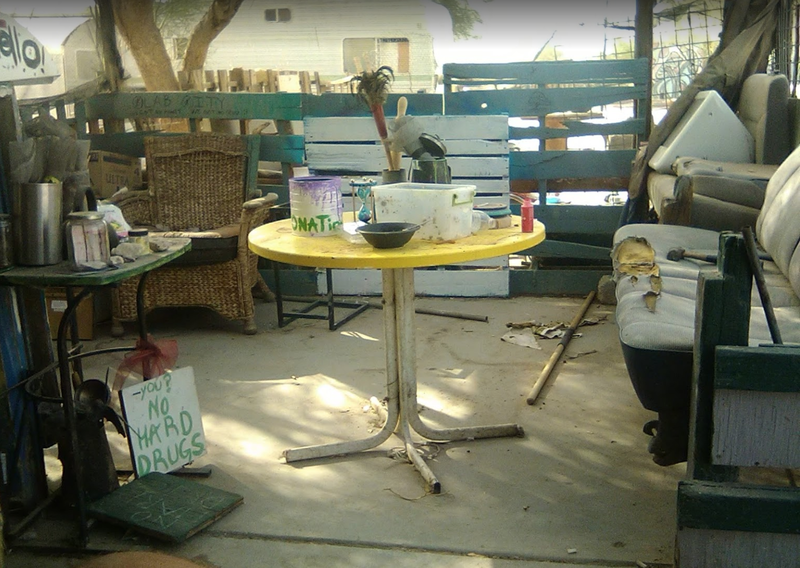 Frankly, it’s also a human junkyard and most of the locals like it that way. If you’re a Michael Connelly fan, his latest novel mentions the dark side of Slab City in “Two Kinds of Truth.” The book is fiction, Slab City’s dark side—ain’t. Save the best for last or as they call it in the decor magazine trade "the beauty shot."